Agilent Technologies Blog What’s That in Your Macaroni and Cheese? Home > About Agilent > Newsroom > Blog > Food > What’s That in Your Macaroni and Cheese? What’s That in Your Macaroni and Cheese? Foodies can’t catch a break. First it was French fries. Then barbecued meat. Now, researchers have found a problem with macaroni and cheese: 29 out of 30 packaged products contain phthalates. Phthalates are chemicals found in many consumer products, including cosmetics and packaging. (They help make plastics more flexible.) These chemicals can interfere with hormone production, causing genital birth defects and behavioral problems. Pregnant women and young children are especially at risk. Several governments and companies have worked to reduce or eliminate phthalates in food. But the chemicals can still get into food products, either during processing or from the packaging. 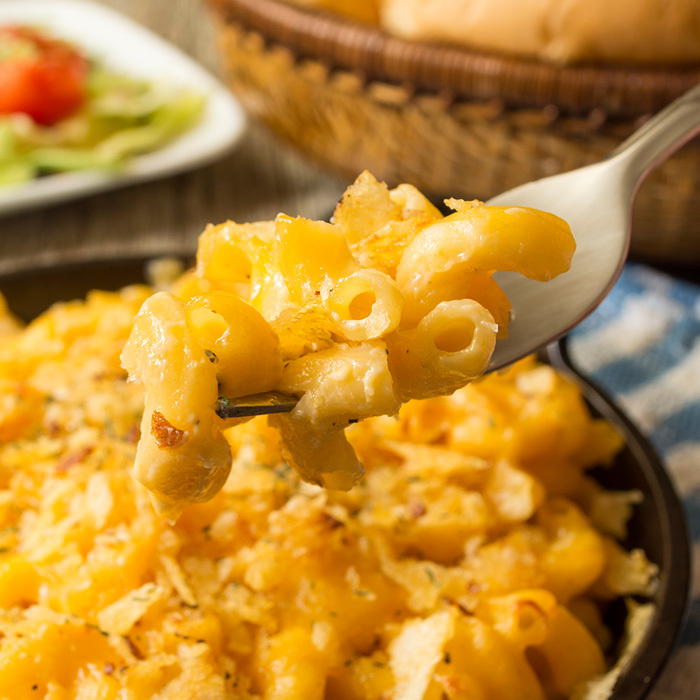 The Coalition for Safer Food Processing and Packaging, a U.S. alliance of public health and food safety groups, examined 30 macaroni and cheese products, including products labeled as “organic.” They detected phthalates in all but one of them. The highest concentrations were found in the powdered cheese mixtures. In the end, you should probably be more alarmed by the amount of salt and fat in packaged mac and cheese than by its phthalates. Agilent is a leading provider of laboratory solutions for both food testing and environmental analysis. We offer a variety of methods for the detection and analysis of phthalates in food and other products using GC/MS and LC/MS.